This is the place where you can have fun and laughter all night with our regular stand up comedian, comedienne and live bands. The fun never stops..The laughter continues!! 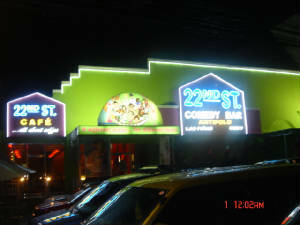 Come and have fun at 22nd St. Comedy Bar.